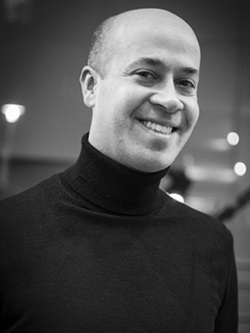 In addition to his work with Inscape, Mr. Scerbo is the Director of the National Orchestral Institute, a training program for orchestra musicians on the threshold of their professional careers. Evan Ross Solomon is widely-known for his versatility, depth of tone, and technical brilliance on both clarinet and bass clarinet. He has performed in recital at the Kennedy Center, Strathmore, National Gallery of Art, The Smithsonian Institute, and Montgomery College. He is a freelance artist in the Washington DC area and appears frequently with the Delaware Symphony Orchestra. He has also performed with The National Symphony Orchestra, The Kennedy Center Opera House Orchestra, and the Mid-Atlantic Symphony. Mr Solomon has performed under such conductors as Valery Gergiev, Leonard Slatkin, Eri Klas, and Michael Stern. 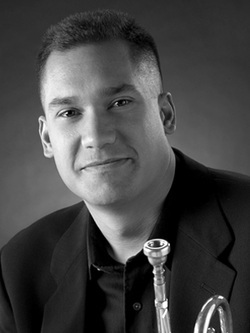 Brandon Almagro began playing trumpet at age 12 in his hometown of New Berlin, WI. He holds a Bachelor of Fine Arts Degree in music performance from the University of Wisconsin-Milwaukee and a Master of Music degree from the University of Maryland. Brandon has studied with Chris Gekker, Steven Hendrickson, and Dennis Najoom. Currently, Brandon is a member of the United States Navy Band in Washington, D.C. He has been featured in the National Geographic book, Where Valor Rests: Arlington National Cemetery. In addition to his duties with the Navy, he maintains an active free-lance career. Brandon performs frequently with the popular Philadelphia soul group, The O’Jays, and is a regular performer at Toby’s Dinner Theater in Baltimore and Columbia, Maryland. He has also performed with the Washington Symphonic Brass, Annapolis Symphony, McLean Orchestra, Annapolis Chorale and Chamber Orchestra, and nationally with Keith Brion’s New Sousa Band. M. Bryce Bunner is Principal Violist of The Air Force Strings, Bolling Air Force Base, Washington, D.C. A 1993 graduate of F.J. Reitz High School in Evansville, Indiana, Bryce continued his musical studies at Oberlin College, earning a Bachelor of Music in Viola Performance and Music Education in 1998. He subsequently studied at the Cleveland Institute of Music in 1998-99, and in 2004 completed his Master of Music degree at the University of Maryland. 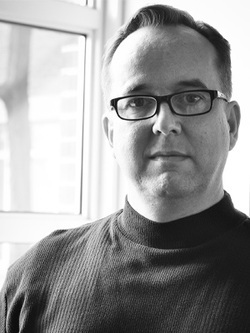 As a freelance musician in the DC area, Bryce is a founding member of Inscape, and has performed with the Baltimore Symphony, the National Gallery Orchestra, National Philharmonic, Maryland Symphony, and the Fairfax Symphony. Prior to joining the Air Force, he was a member of the Erie Philharmonic, the Canton Symphony, and the Evansville Philharmonic, as well as Principal Violist of the Oberlin and Cleveland Institute orchestras. Bryce has attended the Aspen Music Festival, Music Academy of the West, the Kent/Blossom Music Festival, and the Encore School for Strings. His principal teachers have included Roland Vamos, Lynne Ramsey, Mark Jackobs, and Katherine Murdock. Violinist Sarah D'Angelo is a freelance musician and teacher in the Washington DC area.An active chamber musician, Ms. D'Angelo has been a principal player with Inscape since it's inception in 2004 and has performed at venues such as the Kennedy Center, the National Gallery of Art, the Washington Arts Club, the Mansion at Strathmore, the Washington County Museum of Fine Arts, the Wintergreen Performing Arts Center, and The Parilla Arts Center. As an orchestral player, Ms. D'Angelo has performed with groups such as the Maryland Symphony Orchestra, the Washington Concert Opera, the Baltimore Opera, and the South Florida Symphony Orchestra. She has recorded with the Washington National Cathedral Chamber Orchestra. Ms. D'Angelo maintains teaching studios in Olney, MD, the Lowell School in Washington DC, and is a faculty member of chamberSTRINGS Summer Music Workshop outside of Philadelphia, PA.
Ms. D'Angelo holds a Bachelor of Music Degree in violin performance from the Peabody Institute of the Johns Hopkins University and a Master of Music degree in violin performance and Suzuki pedagogy from the University of Maryland. Her principal teachers include Joan Kwuon, Herbert Greenberg, and Violaine Melançon. 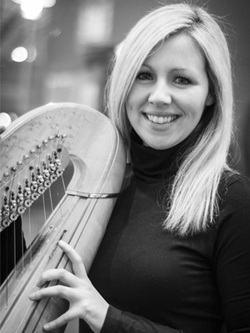 Cara is a freelance harpist in Washington DC, Maryland and Virginia, performing at venues such as the Kennedy Center, Strathmore Hall and Mansion, National Gallery, Lyric Opera House and World Bank. With extensive experience in chamber, orchestral and solo performance, she has recently played with the Maryland Symphony Orchestra, National Philharmonic and Apollo Orchestra. A chamber musician with a passion for new music, Cara is a member of Great Noise Ensemble and the Inscape Chamber Orchestra. Her current projects include a recording of world premieres with Inscape on the Grammy-Award winning label Sono Luminus, and a 10-day residency at the Pikes Falls Chamber Music Festival in Jamaica, Vermont. Cara began playing the harp at age four under the instruction of Sonja Inglefield at the Peabody Preparatory, where she was a seven-time recipient of the harp achievement award and a three-year scholarship recipient in the Peabody Preparatory Arts for Talented Youth Program. She is a three time winner of the American Harp Society regional scholarship competition, and was recognized as a Maryland Distinguished Scholar for the Arts. Cara continued her studies in music at the University of Maryland School of Music with Rebecca Smith under a Creative and Performing Arts Scholarship in 2003 and graduated with a Bachelor of Music in 2007. Other influential harp teachers include Elizabeth Hainen and Ruth Inglefield. During her years at Maryland, Cara won second runner up in the University of Maryland Concerto Competition and was a featured soloist with the University of Maryland Repertoire Orchestra. Cara also participated in the Saratoga Harp Colony, an intensive summer program for the emerging generation of professional harpists. 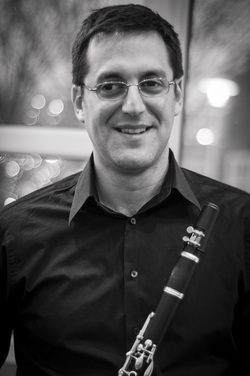 Benjamin Greanya, bassoonist, plays regularly with several diverse groups in the Washington DC area, including the National Symphony, Kennedy Center Opera House Orchestra, Baltimore Opera Company, Annapolis Symphony, and Concert Artists of Baltimore. Recent chamber music performances include the Verge Ensemble of the Contemporary Music Forum and the Fessenden Ensemble. Other orchestra appearances include the Alabama Symphony, Hartford Symphony, Virginia Symphony, and Tenerife Symphony Orchestra in Spain. He attended the Kent Blossom and Aspen music festivals and was a fellow at the Tanglewood Music Center and National Repertory Orchestra. Benjamin holds degrees from the University of Michigan and the New England Conservatory of Music. Cellist Doug Jameson enjoys an active musical career in the greater Baltimore-Washington area. 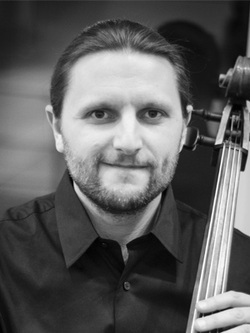 Doug is the Principal Cellist of the Prince George’s Philharmonic and the Inscape Chamber Music Project. He plays with orchestras throughout the region, and has performed with orchestras and chamber ensembles at Meyerhoff Symphony Hall, the Kennedy Center, and Alice Tully Hall. Doug has performed with the Singapore Symphony and the Yong Siew Toh Conservatory Orchestra on fellowship, and toured China in 2007 and 2009 as a member of the Mantovani Orchestra. As a chamber musician and recitalist Doug performs regularly as a member of the Largely Ludwig Chamber Ensemble and the Miller-Jameson Duo. In addition, Doug enjoys a schedule of offbeat recording and performance opportunities, which have recently included new chamber compositions and a promotional spot for ESPN football. Doug received his Bachelors and Masters degrees in Cello Performance from the Peabody Conservatory of Johns Hopkins University. He is adjunct faculty at the Park School, where he teaches music theory, ear training, composition, audio production, and coaches the Park String Ensemble. Doug serves as the cello section coach for the FAME youth orchestra, and his ninth year of teaching cello in Baltimore, where his students have taken part in All County, All State, and numerous other festivals and orchestras throughout the region. Susanna Loewy received a Doctor of Musical Arts from Rutgers University/Mason Gross School of the Arts, and a Master and Bachelor of Music from The Cleveland Institute of Music. Her primary teachers included Jeffrey Khaner, Joshua Smith and Bart Feller. She is recorded on "Apparitions and Whimsies," a Centaur Records publication, and published through Harper Collins Publishing in a book entitled "A Daily Dose of Classical Music." In addition to her position as Flute Professor at Kutztown University, she is currently a Teaching Artist for the Philadelphia Orchestra. She also teaches and performs throughout the country. Aside from her musical life, Susanna is an active Ironman triathlete and writer for several athletic-based journals. Although currently taking a hiatus from athletic-based teaching, Susanna is a certified spinning teacher and triathlete/marathon coach; she enjoys writing and teaching within any genre. Susanna is founder and curator of Pikes Falls Chamber Music Festival and is associate project manager of Inscape. Pursuing a career that embraces art song, opera, chamber music, and cabaret, pianist R. Timothy McReynolds is also active as a teacher and vocal coach. He is a member of the Voice/Opera faculty of the University of Maryland, School of Music, and the former Music Director of Towson University’s Music for the Stage. He has participated as vocal coach/pianist for the Washington National Opera’s Opera Institute and the Aspen Music Festival. He was Instructor of Piano at American University in Washington, D.C. and Loyola University of Maryland, where he remains as pianist for the Vocal Masterclass Series. He has toured internationally in concerts, cabarets, and masterclasses in Mexico, Germany, and Austria, as well as across the United States. He also performed in recital with acclaimed bass-baritone, the late William Warfield. He has been heard with, among others, Linda Mabbs, Francois Loup, Isabel Leonard, Timothy Mix, Danielle Talamantes, and Colleen Daly. The Washington Post hails him as the, “perceptive accompanist”, the Baltimore Sun, an “excellent pianist”, while the website Classical Journal proclaims him as the “brilliant accompanist” in a recital with mezzo-soprano, Delores Ziegler. He continues his close association with the Washington (D.C.) Vocal Arts Society and their Discovery Recital Series. Recent concert venues include the Kennedy Center’s Terrace Theater and the Embassy of the Netherlands in Washington, D.C., the Maryland Arts Festival in Baltimore, a state tour of Maryland with the Annapolis Symphony, the Egyptian Embassy Concert Series in Vienna, Austria, and Weill Recital Hall at Carnegie Hall in New York City. Dr. McReynolds received his B.M. from Indiana University, M.M. from the University of Michigan, and completed his D.M.A. at the University of Maryland. His teachers have included Edward Auer, Martin Katz, Robert McCoy and Rita Sloan. He has participated or served as pianist for the masterclasses of John Wustman, Margo Garret, Steven Blier, Brian Zeger, Suzanne Mentzer, Vinson Cole, Vivica Genaux, William Bolcom, John Musto and Richard Hundley. 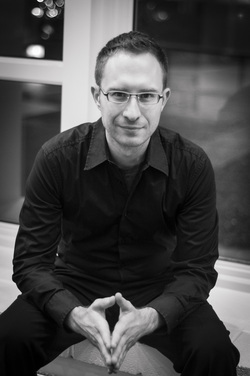 He recently recorded a CD to be released in 2012 of Schubert’s Die schöne Müllerin with tenor Bryce Westervelt. Another CD recording with the chamber music group, Greenbrook Ensemble will also be released in 2012. His recent concert schedule includes venues in New York, Massachusetts, Tennessee, Florida, Texas, Vermont, and Pennsylvania. 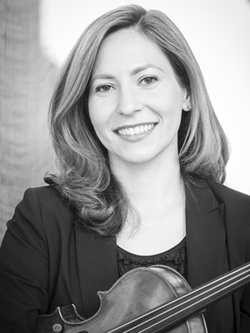 Violinist Rebecca Racusin has performed in venues across the United States, Canada, and Italy including Carnegie Hall, Philadelphia's Academy of Music, The Kennedy Center, Strathmore Hall, Miami’s New World Center for the Arts, and the Smithsonian Museum of American Art. She is tenured in the Maryland Symphony Orchestra and was concertmaster for the 2010 Ash Lawn Opera Festival in Charlottesville, Virginia. Ms. Racusin performs regularly with the Amadeus Chamber Orchestra, the National Philharmonic, the Annapolis Symphony, and Washington Chorus Orchestra. Her chamber music collaborations include principal players of the Minnesota, National, Houston and Dallas Symphony Orchestras, cellist Wendy Warner, and American String Quartet cellist Wolfram Koessel. Her performances at the Three Bridges International Chamber Music Festival in Duluth, Minnesota were recorded for broadcast on NPR. Ms. Racusin received her BA from Harvard University, studying with James Buswell at New England Conservatory, and her MM with a graduate assistantship from the University of Maryland’s School of Music, studying with Elisabeth Adkins. A native of Cairo, NY, oboist Bethany Slater currently resides in Washington DC, where she operates her reed-making business, Bethany’s Reed Shop. She has held the positions of principal oboe with the Glens Falls Symphony Orchestra and 2nd oboe and English horn of Lincoln Center's Mostly Mozart Festival Orchestra. She has played with the Richmond Symphony, Hudson Valley Philharmonic, Albany Symphony Orchestra, Windham Chamber Music Festival Orchestra, Allentown Symphony, Long Island Philharmonic, Westchester Philharmonic, New York Gilbert and Sullivan Players, and Wicked on Broadway. She has participated in many summer music festivals, including the National Orchestral Institute, the National Repertory Orchestra, the Banff Centre Music Festival, and the June in Buffalo Contemporary Music Festival. She has been featured twice on the McGraw Hill Young Artist Showcase on WQXR and has been seen on the PBS Live from Lincoln Center TV broadcasts. In June 2007, she was one of five finalists in the Gillet International Oboe Competition sponsored by the International Double Reed Society. In 2008 she won the Howarth of London Prize at the Barbirolli International Oboe Competition. Bethany holds a BM in oboe performance from the Eastman School of Music where she studied with Richard Killmer. 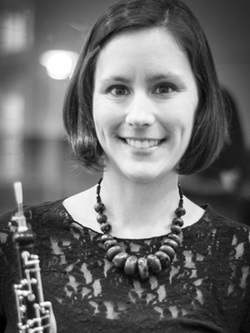 While at Eastman she was the winner of the Oboe Concerto Competition and was the principal oboist for the Eastman Wind Ensemble's 2004 Asian tour and recording. 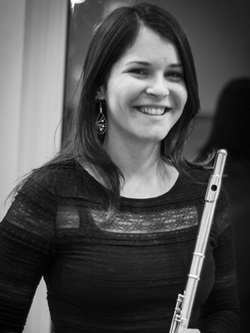 After Eastman, Bethany studied oboe with David Walter at the Paris Conservatory with a Fulbright grant and the Altamura Center for the Arts and Cultures 2004 Young Artist's Award. 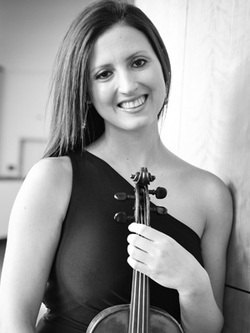 Violist Dr. Megan Fergusson Yanik enjoys a multifaceted career as both a performer and teacher. She has performed with orchestras throughout the United States, including the Detroit Symphony Orchestra, Boston Symphony Orchestra, Baltimore Symphony, Toledo Symphony and Richmond Symphony. As a chamber musician she has collaborated with Ida Kavafian, Andres Cardenes, Mack McCray, Paul Katz, Yang Wei of the Silk Road Ensemble, percussionist Joe Gramley, and performed on numerous occasions with the Michigan Chamber Players presented by University Musical Society (UMS) and National Public Radio. Her festival appearances have included the Wintergreen Performing Arts Festival, American-Romanian festival, Tanglewood Music Center, Aspen, Spoleto USA, and Blossom. She has won prizes in several competitions, including first prize in the National ASTA solo competition. Dr. Yanik’s educational outreach has included teaching for the Young Audiences program “Bring Back the Music” (Dorchester, MA) and consulting for NPR’s “From the Top”. Dedicated to the education of young people, she has taught at George Mason University and served as faculty at New England Music Camp, Phoenixfest!, and the Zephyr Chamber Music Festival in Courmayeur, Italy. 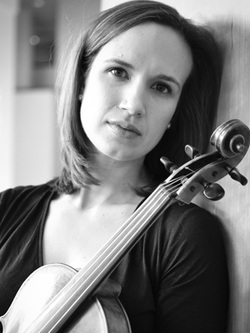 Dr. Yanik holds degrees in viola performance from Rice University (BM), the New England Conservatory (MM), and the University of Michigan (DMA), where her teachers have included Karen Ritscher, James Dunham, Martha Katz, and Yizhak Schotten. 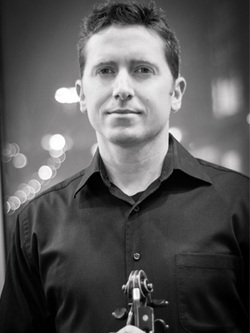 Formerly on faculty at Bowling Green State University, Dr. Yanik is currently on the faculty of the Wintergreen Performing Arts festival and the Capitol Hill Arts Workshop in Washington, D.C., and is violist with the Inscape String Quartet. For more information, visit: www.meganyanik.com.